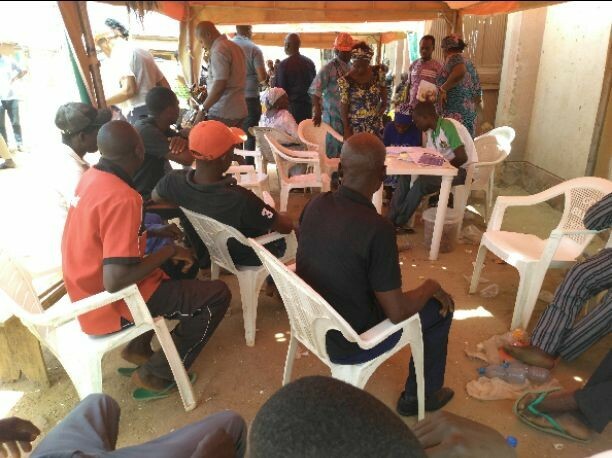 A Kaduna-based non-governmental organisation, Andy Bako Youth Foundation on Tuesday paid a solidarity visit to some survivors of recent social unrest in Kajuru local government area of Kaduna State at Kadara town hall where they are currently seeking refuge. The latest attacks, many analysts believed to have taken reprisal dimensions, affected the two major occupants of the local government; the native Adara and Fulani settlers and about 200 people lost their lives to the unfortunate development. The main bone of contention is yet to be established by the state government. 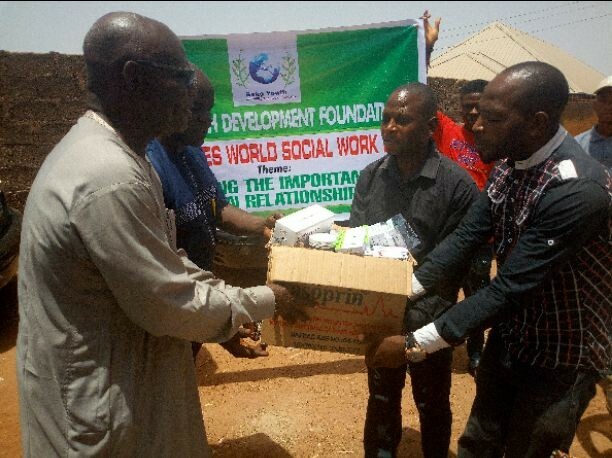 Handing over the drugs and other consumables, insecticide treated mosquito nets, bail of clothes and shoes worth hundreds of thousands of naira to the managers of the internationally displaced persons (IDPs) camp in Ungwan Adara, Sabon Tasha, Kaduna, Executive Director of the Foundation, Andy Bako said, the donation became necessary to identify and emphasize with IDPs In their trying time. According to him, the Foundation saw the need to ease the pains of women and children at the facility pending the time they would return to their land of nativity. “We identify with you and we want to assure you that, you are not alone. “We are commemorating international day of social work today with focus in human relationship and we though of using the day to come and be with you and give you what we have. “These items we brought were not just brought here today. I was here yesterday to take inventory of what they need. And today, we are here with what they told us they need to run the camp. “We brought drugs and other consumables worth N100,000 in addition to one bails of insecticide treated mosquito nets, clothes and shoes for women and children here. We pray for peace to reign once more in our land,” he prayed. Receiving the items on behalf of the refugees with thanks, Chairman of the camp, Musa Magaji hinted that, they were yet to see anyone from the government since the time of incidents. “I want to thank this Foundation for what they have done for these people. We have only women and children here. I remember Mr Bako was here yesterday to know what our challenges are and today, he’s here with his team and these gifts. May God reward all that made this possible.